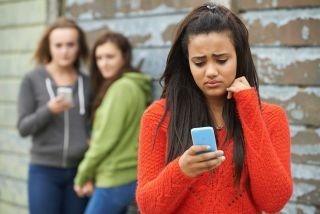 GoGuardian announces Beacon, a suicide and self-harm prevention tool for K-12 schools, that acts as an early-warning system to help schools proactively identify at-risk students. GoGuardian provide context-aware analytics to assess the content students are creating and interacting with online via web searches, social media, chat, forums, email and online collaboration tools. Beacon was built in collaboration with suicide prevention experts, including the American Foundation for Suicide Prevention and the American Association of Suicidology. Beacon is able to trigger immediate alerts based on contextual content, such as “I can’t do this anymore,” or “Do I need to swallow more pills if they are past their expiration date?”. Additionally, the American Foundation for Suicide Prevention (AFSP) today announced that it is providing free, on-site, suicide prevention trainings for school administrators, teachers, students, and their parents through their partnership with GoGuardian. This training will be included in every purchase of the suicide prevention tool GoGuardian Beacon.